Just like a site-built home, a mobile home needs routine maintenance and inspections to keep it in top shape. The following mobile home maintenance tips can help you keep your home healthy and beautiful. Mobile homes are pre-fabricated structures that were built in a factory before July 1978. We love factory-built homes because they are less expensive than a home built on-site but are equally attractive and comfortable. Manufactured homes can be any size, from small, single section units to large multi-section units. They can have whatever features a site-built home can have; fireplaces, cathedral ceilings, and even basements. 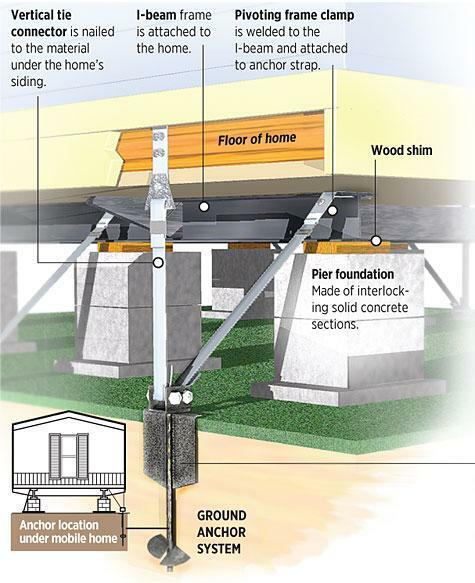 You can even have a 2 story manufactured home! The most important tip a professional can give a mobile home owner is to check your home every year to ensure it is level. Mobile homes can settle over time. If a mobile home is not properly leveled it can cause several issues: doors and windows won’t shut properly, cracks appear in walls, and leaks occur. You can buy a water level online for less than $60. Related: Here’s a good article about using a water level. A mobile home’s skirting, or perimeter enclosure as the pros call it, is more important than most realize. Skirting acts as an insulator for the whole home, it adds protection from pests, and it adds curb appeal. Skirting should be secure so animals can’t get in but have adequate venting so humidity can’t damage the home and mold can’t grow. Proper ventilation is serious business. There is a formula (1:150) that you can use to ensure you are giving your home the proper skirting ventilation based on your square footage. In other words, there should be one square foot of venting for every 150 square foot of space under your home. You will need to install these vents within 3′ of each corner (to prevent dead air pockets). 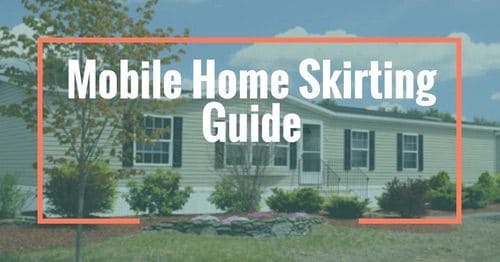 You can learn more about mobile home skirting in our Mobile Home Skirting Guide here. Please note: your home’s manual should provide guidance (or possibly a different formula). Skirting manufacturers will also give you guidance on proper ventilation protocol. If you have a mobile home with a flat roof you will need to reseal or recoat it regularly. Some manuals state this should be done every year. Make sure your flashing is in good condition and there are no soft spots or cracked caulking. Also, make sure you use the right coating. 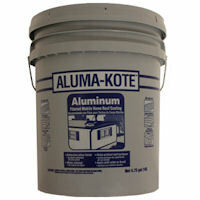 Asphalt or aluminum coatings cannot be used on PVC or rubber (EPDM) roofs. Here’s an article that has top tips for flat roofs on mobile homes. Gutters are important as well. To avoid winter water damage, be sure to clean out and inspect rain gutters for leaks or holes. They should be slanted so water runs away from your mobile home. Don’t forget to check and repair downspouts or extensions. Mobile homes, built before July 1978, will not use standard ‘big box construction store’ sizes. Bathtubs are usually smaller than those available at Lowe’s or Home Depot. Doors, both interior, and exterior, are usually smaller as well. Windows are also typically an odd size. As soon as you can measure everything: cabinets, fridge, stove, windows, doors, tubs, faucets, counters, closets, etc. This way you will always know if that beautiful countertop you found at the flea market will fit. Make sure doorknobs, faucets and other fixtures are fitted properly. In case you need to change them, take your current hardware along with you to the hardware store. Some fixtures for mobile homes are specially designed just for mobile homes. 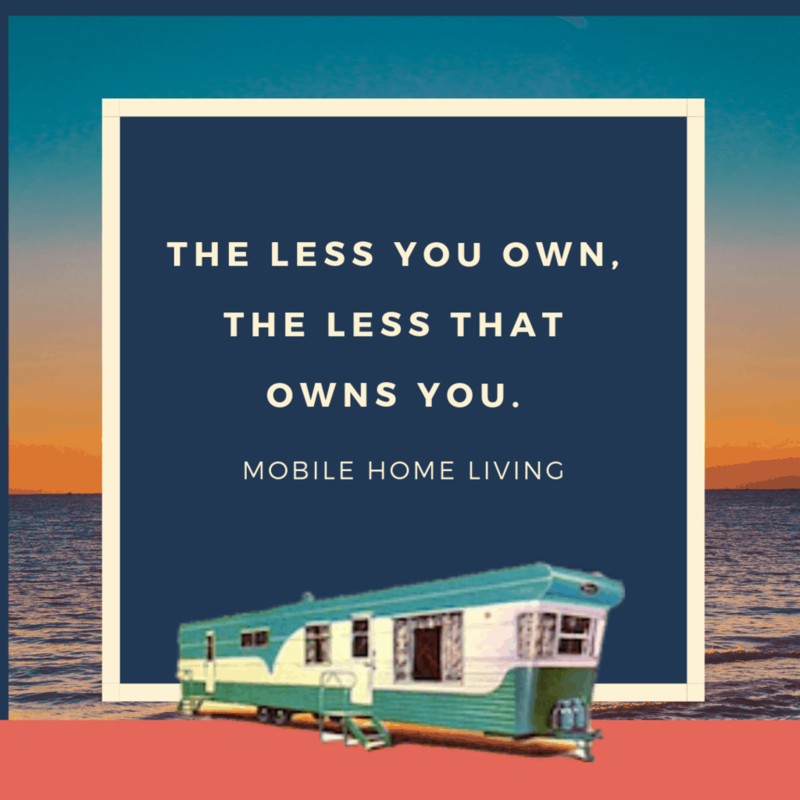 Mobile home plumbing is a bit different from site-built homes but the same concept applies: the plumbing system has a supply line, a waste or drain line, and ventilation. The pipes have to be able to breathe to work properly. Ideally, all mobile homes will have a shut-off valve at every water feature. If possible, add one to the toilet and faucets in the bathroom and kitchen. Make sure you know where your main shut-off valve is to your home, too. 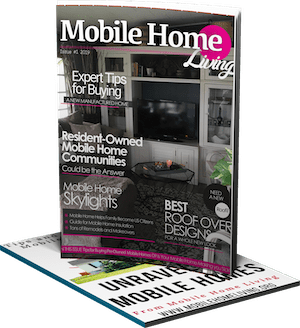 Here’s a very informative article about mobile home plumbing basics (be sure to read through the comments as there are a lot of good questions and answers there). 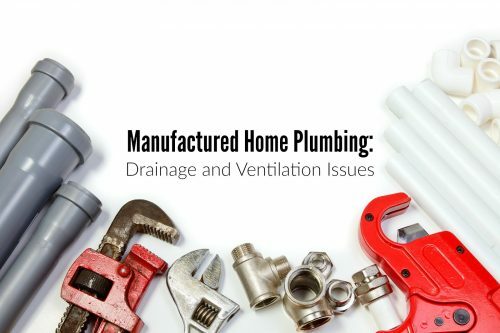 Here’s another article on mobile home plumbing drainage and venting problems. While a homeowner inspection should never replace a professional inspector it is smart to do a regular inspection of your home. 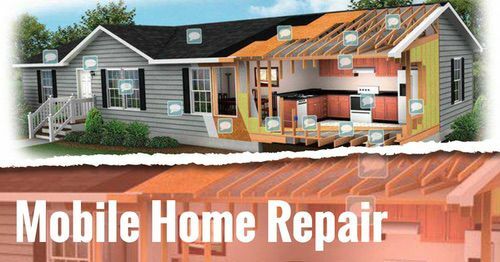 McGarry and Madsen, a home inspection company in Florida, has a great list for homeowner inspections on their website here. Related: Our Manufactured Home Safety Inspection Checklist can be found here. Are the I-beams bent or rusted? Is the wood floor framing damaged or rotted? Are the masonry piers cracked, chipped, or otherwise damaged? Are the masonry piers in contact with the steel frame? Are the masonry holes in blocks used in the piers facing upward or sideways? Are wooden wedges present between the pier cap and the steel frame? Is there perimeter blocking located underneath large wall openings such as sliding glass doors and windows greater than 4’ in length? 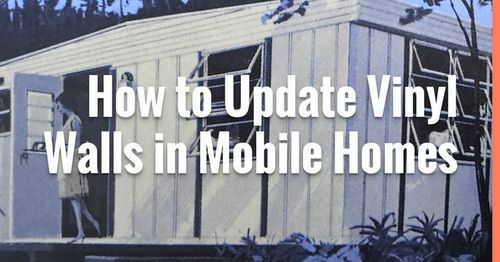 There are two more mobile home specific issues I wanted to address. Through the years, two complaints keep coming up: yellow bathtubs and vinyl coated walls. If you are experiencing these you are not alone! You can absolutely update your mobile home’s vinyl walls or POG wallboards (or VOG means vinyl over gypsum and POG means paper over gypsum). The secret to the best result is to clean the walls really, really well. Once you’ve cleaned the walls you will need to use a high-quality primer/gripper like Killz (two light coats). After the primer has dried use high-quality paint (again, two light coats). If you want to learn how to remove the battens that cover the panel seams click here. The yellow bathtub problem is a lot tougher to fix and there doesn’t seem to be a ‘one size fits all’ remedy. We did extensive research on why tubs turn yellow in the first place and how to fix it in our article titled What To Do About Yellow Bathtubs In Mobile Homes here. Your mobile home can last many decades with proper maintenance and care. The maintenance is essentially the same as a stick built home with only a few differences such as skirting and roofing. As they always say, “an ounce of prevention is better than a pound of cure” (or something like that). A few minutes of inspection time and a couple of dollars in material can save you a lot of time and money in the future. 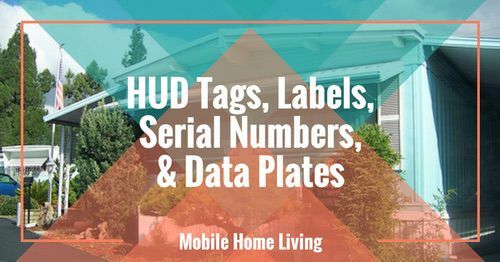 Note: The notated affiliate links help support Mobile Home Living at no additional cost to you. Every home is different so an inspection would be necessary to see how it should be done. Framing out an overhang isn’t usually too complicated on a gabled roof. You’ll find the best angle to attach the new framing to the original structure and frame it out. It’s a lot of math! Sorry I can’t be more help. Best of luck! I didn’t know a mobile home being off level could cause cracks and misalignment. I guess that’s because mobile homes are pretty heavy. It’s good to do regular maintenance and checks. I guess I’ll have to start checking my home’s balance during those checks. I have bought a 1983 double wide Feb, 2016. Not knowing what I got myself into found bad sub-flooring, rotted joist and wall studs. I tore down walls, built walls, etc. Did 70% of the remodel myself after going through 3 contractors which left me not finishing work and/or ripping me off. I have interesting pictures of before and after [not quite finished] but thought sharing would be great. Wondering if your interested? I read allot off your website to learn how to do the remodel. By the way I am a senior single female, do it yourself kinda girl. Of course, I’m interested! Sharing real homes and real experiences are so helpful to other homeowners. If you can email me at [email protected] and we’ll start working on it! Thanks so much for contacting me! I’m excited to see what you’ve done and hear about your experiences. I don’t want to scare you, but I usually associate the word mushy with water damage. It could be several things, though. If you can pull up your floor covering and take a look at your subfloor, please do so. You may want to go under the home to look for any signs of water damage (from leaks or just condensation). It could be the subflooring just needs to be tightened down too. It’s good that you have noticed this as it is usually a sign of some kind of issue but it doesn’t necessarily mean that it’s a serious problem like water damage (though if it is water damage you want to find the source and replace the wood as soon as possible). Best of luck and please let me know how it goes! Karen, if you have linoleum flooring I’d also check the glue used to hold it down because some people will shill you and use cheaper glue not made for flooring. The glue doesn’t dry like it’s supposed to and you get that mushy feeling. Hopefully it’s nothing that costs a lot to replace. Hi Crystal!! Love this informative article! Thank you!! Something I found when I needed to replace the refrigerator was that the front door was too small for a standard one to fit through! Something to think about when purchasing any new appliances, as you mentioned. Glad you found us Sylvia! Please tell your friends and family so they can find us too! Its was a great pleasure of reading this awesome article. Thank you for posting this extra ordinary information for us. This site is amazing and I have been a regular visitor of this site since I found it first time. So glad you like it Ryan! Hi Crystal! Thanks for the reply in my comment. I do agree with you that it is really hesitant to guest post but we must also know that if it can help our blog in deriving traffic, then it is much better. 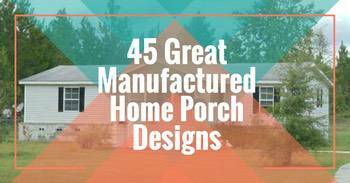 Thanks again for sharing this 8 tips to ponder in order to create beautiful mobile home. I think I need to follow them. but ones like this that are so helpful are great! Thanks Tracy!